At the beginning of the game, players create a playable Avatar (“My Unit” in the Japanese version), who serves as the game’s main character. Choice between Male or Female. Affects your Avatar’s appearance and determines which characters they can marry. Note: You can use this web application (by LuminescentBlade) to recreate your own Avatar! For each gender, you can choose from 2 bodies, 7 faces (per bodies), 12 hairstyles (per body), 30 hair colours, 5 hair accessories (only if female), 12 facial details and 3 voices (5 in the Japanese version. The appearance options are reflected in your Avatar’s 2D portrait, map sprite and 3D battle model. Your Avatar’s voice is used to determine their voice during combat, as well as their manner of speech in the dialogue (in the Japanese version). You can decide your Avatar’s name (default name is “Corrin”), birth month, birth day, Boon (best stat), Bane (worst stat) and Talent. The Boon and Bane affects your Avatar’s starting stats, growth rates and maximum stats. Meanwhile, the Talent determines your Avatar’s secondary class when using a Heart Seal item (see below). Your Avatar always begins as a Nohr Prince/Princess, but they can use a Heart Seal to change to a secondary class as determined by the Talent you chose for them. Available classes: Cavalier, Knight, Fighter, Mercenary, Outlaw, Samurai, Oni Savage, Lancer (Spear Fighter), Diviner, Monk (male), Priestess (female; Shrine Maiden), Sky Knight, Archer, Dragon (Wyvern Rider), Ninja, Mage (Dark Mage), Troubadour, Apothecary and the corresponding promoted classes, when at the required Level. In addition, your Avatar can use a Partner Seal to change to their husband or wife’s base class or a Friendship Seal to change to the base class of any character they’ve reached an “A” support level with. Your Avatar can support every playable character (except guest characters acquired through StreetPass, SpotPass, DLC or capturing) and marry any playable character of the opposite gender upon reaching an “S” support level. 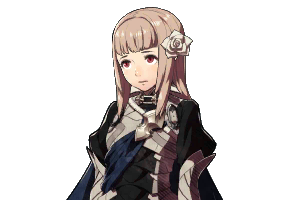 It’s also possible to marry Niles or Rhajat upon reaching an “S” support level regardless of your Avatar’s gender. You can recruit other player’s Avatar via StreetPass or SpotPass. Additionally, you can register your own Avatars in the “Unit Logbook” and summon them to other save files. These Avatars are treated as guest characters and thus cannot support.